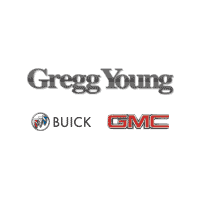 At Gregg Young Buick GMC in Indianola, we’re all about adding value to our vehicles and the customer experience by making repairs easy and affordable for their prized GMC Sierra 1500 or Buick Encore. By bundling tire maintenance and inspections — and throwing in tire maintenance specials and coupons — our Des Moines area customers save money in upfront costs as well as long-term maintenance expenses for their GMC or Buick vehicles. This is why we pair our tire inspection and rotation services into a single service, which includes tire inspection, balancing, inflation check and adjustment, rotation, and replacement as needed. Every tire appointment at our service center begins with a comprehensive assessment of every tire, which forms a staging point for what to do next. The ultimate goal of our Tire Inspection & Rotation Service — and all our other services like diesel engine oil changes — is to restore your vehicle to factory specifications so that you have the best driving experience and maximum safety in Norwalk. The inspection tells us what to do next to get your vehicle back to factory specifications and maximum safety. Regardless of the results of your Tire Inspection at our Buick, GMC tire service center, the service will take the appropriate action to restore your wheels and tires to factory specifications. Improper inflation on your Buick, GMC vehicle is the #1 offender in our Tire Rotation & Inspection Service. But don’t worry, when our expert technicians find that your tires are under- or over-inflated, they will make sure the pressure is adjusted to manufacturer specifications. Sometimes we find that your wheels and tires are out of balance. Since you need perfect balance for the best driving experience in Urbandale, if your tires are out of balance, they will be placed on computerized equipment and adjusted with small wheel weights as needed. If your tires are worn out or damaged, they will need to be replaced. We have a robust inventory of genuine manufacturer-approved tires in our tire center, and they have been rigorously tested for fit and performance on your Buick GMC vehicle in Ankeny. If you need any of your tires replaced, we’ve got you covered! Gregg Young Buick GMC	41.3983105, -93.5599982.